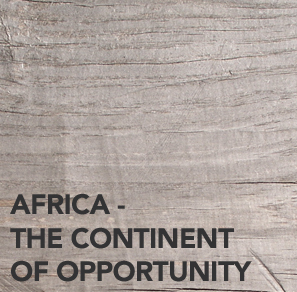 Africa’s potential as an investment and expansion destination is not in doubt. Our insights interpret and keep you updated on the most recent developments in the African country you are intending to expand into. What is driving Africa's top economies? Central Africa: an economically balanced region. See the World Bank 2012 Ease-of-Doing-Business Ranking. A quick glance at Africa’s top economies and it is clear what their economic drivers are. Africa’s economies are still largely driven by primary sector activity. Agriculture, mining and oil account for up to 50% of GDP in some countries. The secondary sector industries in these economies are however experiencing significant economic growth due to the numerous infrastructure development projects currently underway, with construction engineering, and manufacturing at the forefront. The above is not only an expected pattern of economic growth, but it further attests to the opportunities Africa presents. The services sector is yet to significantly contribute to the wealth creation of these economies.A number of these economies have enormous potential for tourism and its related industries, which include transport, catering, hotels etc. The fact that Africa’s economies are so vastly different in structure to those of developed economies, whose structures are more desirable only goes to show the potential that exists in Africa. Africa’s economic regions are generally led by an average of one or two country economies, South Africa, and Angola in the south, Ethiopia and Kenya in the east, and Nigeria in the west. Central Africa however presents a very different picture. Although Cameroon remains a leading economy in Central Africa, albeit by a very small margin compared to leading countries in other regions, four of its neighbouring economies are equally holding their ground and contributing significantly to the region’s GDP. This equal distribution of wealth makes Central Africa a prospective investment region, for the cross-border opportunities presented by investing in any one economy. Driven mainly by oil, these economies are implementing diversification policies that are set to position them for increased growth. The infrastructural development, and implementation of investment promotion policies in these countries, makes this a region for investors to look out for. According to the World Bank, 36 Sub-Saharan countries implemented business reforms between 2010 and 2011, with Morocco being the highest climber, up 21 places for introducing new laws protecting investors. Over the past decade, six of the world’s ten fastest-growing countries were African. In eight of those years Africa grew faster than East Asia. And the IMF still expects Africa to grow at 6% in 2012, this amidst the crisis that hit Europe in 2011.
Commodities have largely been responsible for this growth, with a quarter of Africa’s growth stemming from increased revenues in natural resources. Manufacturing and service economies have played a part, but the landscape is increasingly changing. Africa has more mobile-phone users than America or Europe, with the state of its roads largely contributing to these advances in communications. Africa also has a higher proportion of land mass covered in internet services than India. Not only is Africa experiencing economic growth, it is also experiencing political stability. This is a combination conducive for growth and development. Africa’s growing population is set to enhance these developments. Better educated young people are entering the job market, while birth rates are beginning to drop. Angola’s history of being an oil country is soon to change. The country has taken drastic steps to diversify its economy, and its new laws are set to promote macroeconomic stability. Aside from Oil, Angola’s other big export is diamonds, and the government recently released a new mining law aimed to give international diamond mining companies’ confidence to enter the market. The political climate should also be captivating, with elections promised for the 3rd quarter of 2012. The constitution was changed in 2010, so there will no longer be a direct presidential vote, but rather the head of state will be elected from the leading party. It remains to be seen whether President Jose Eduardo will remain at the top his party.